Felipe Silva is still unbeaten in MMA after scoring a 73-second knockout over Shane Campbell in his UFC debut last August, but he hasn’t fought since. 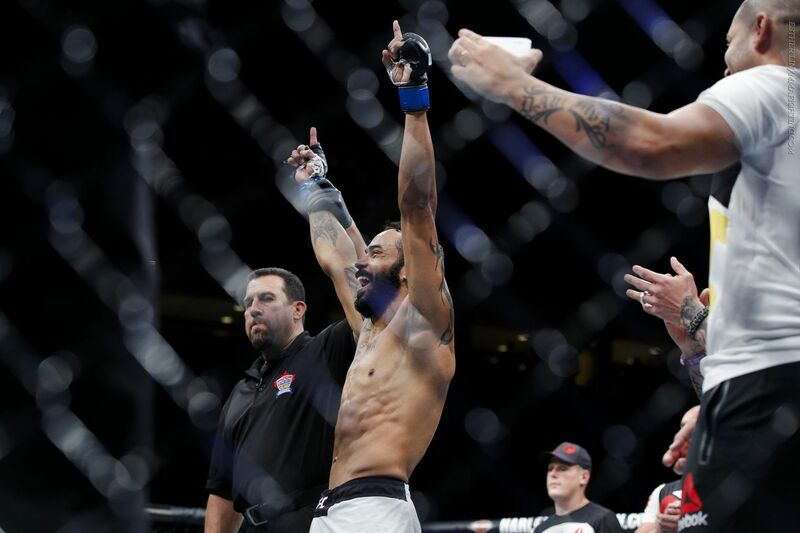 The lightweight talent, who finished seven opponents in eight professional wins, has called out a pair of UFC fighters in an attempt to make some noise and get a fight, but is still waiting for the promotion to call with good news. According to Silva, the UFC has offered him to three different opponents, and they all turned it down. “It’s being hard to get a fight,” the lightweight said. “Two weeks ago, I asked my manager Lucas (Lutkus) what was going on, and he said they tried to work on three names for me, maybe for UFC 212, but they all turned down the fight. A disappointed Silva tries to look on the bright side of every situation. “I see that my work is being recognized in a way,” Silva said. “I kind of understand him, but at the same time I imagine that he would have taken the fight if he thought I was an easy match-up. I’m a knockout artist, and sometimes people don’t want to fight someone like me. If it’s up to me, the fight won’t get past the first round.